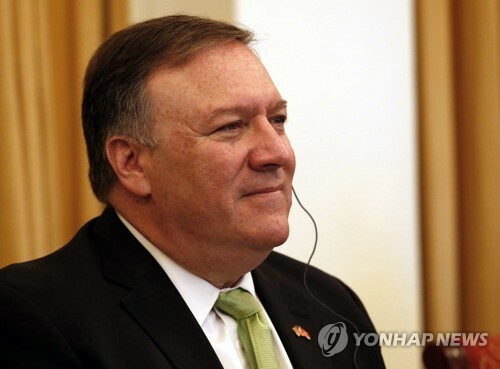 U.S. Secretary of State Mike Pompeo has stressed the United States' commitment to resolving the threat of North Korea's nuclear weapons program in a peaceful manner. Pompeo spoke to the issue in a meeting with American troops in Afghanistan Monday, the State Department said in a statement. The top U.S. diplomat made an unannounced visit to the country during a multi-nation tour that took him to Pyongyang last weekend. "The Secretary also answered questions from the troops on both internal governmental and global issues such as North Korea in which he underscored the U.S. commitment to developing a peaceful solution on the Korean Peninsula," the statement read. Pompeo met with North Korean officials last week to flesh out the details of an agreement reached by U.S. President Donald Trump and North Korean leader Kim Jong-un at their Singapore summit in June. Kim committed in the meeting to the "complete denuclearization" of the Korean Peninsula in exchange for security guarantees from the U.S.
Pompeo said there was progress in his talks with the North Koreans, but also acknowledged that a lot of work remains to be done, including on the issue of setting a timeline for denuclearization.